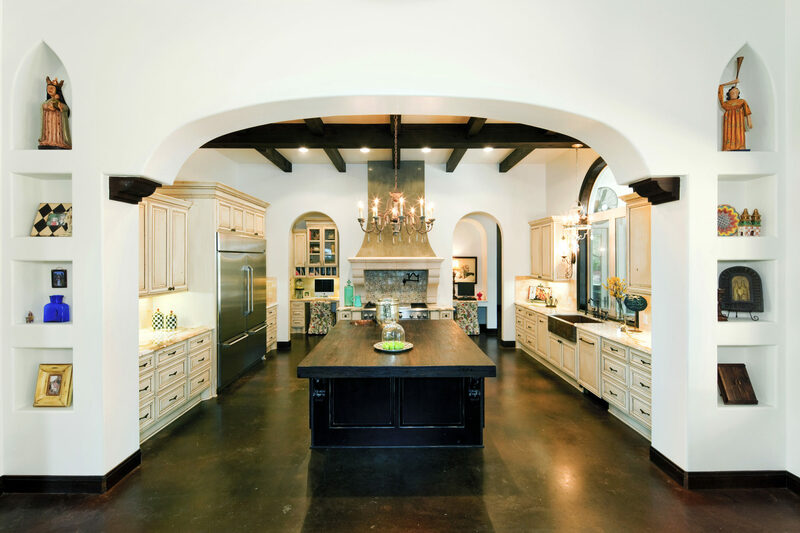 The interiors of the home were inspired by the Spanish style architecture. 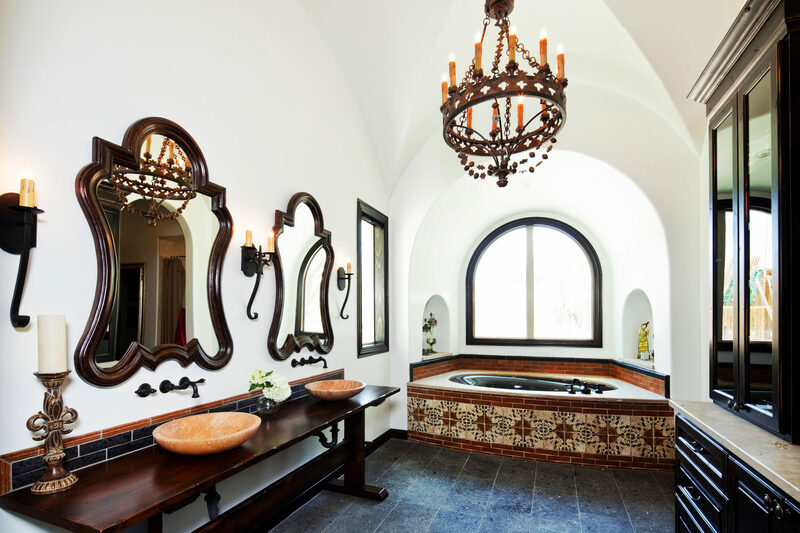 Each room reflects authentic antique tile, Calcutta Carrera marble countertops, distressed glazed cabinets, faux finished walls and decorative traditional light fixtures. The laundry room has unique flare of turquoise glazed cabinets with black and cream Spanish tile. 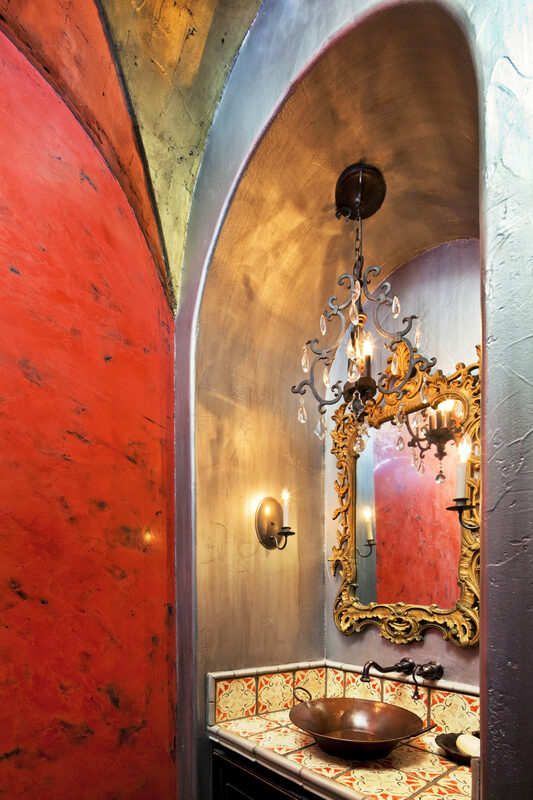 We spiced up the pool bath with a suspended concrete vanity in front of a black crocodile wall plaster. Every square foot of the interior was designed and well thought out. "I have nothing but glowing remarks for Amanda. I would proudly refer her to anyone who is looking for a designer who is committed to her work 110%. She was extremely patient with me in all circumstances. Anything from paint color to tile to carpet, she would always put my mind at ease that we were making the right choice and it would all work out. And boy did it ever! We have had several people come to our home just to view the finish out. They would hear by word of mouth how amazing our home turned out and would come ready with camera and pen and paper to accomplish the look Amanda gave us. I would also have to say that I was impressed by not only her fabulous style, but the fresh design ideas she had that weren't just the same you see over and over. She is gifted in her fresh design ideas, and curving the style to a client's particular needs. Nothing shakes this girl! She is a truly brilliant designer and we are so thankful we had her on our dream home team. If we were to start building another house, she would be my first call."